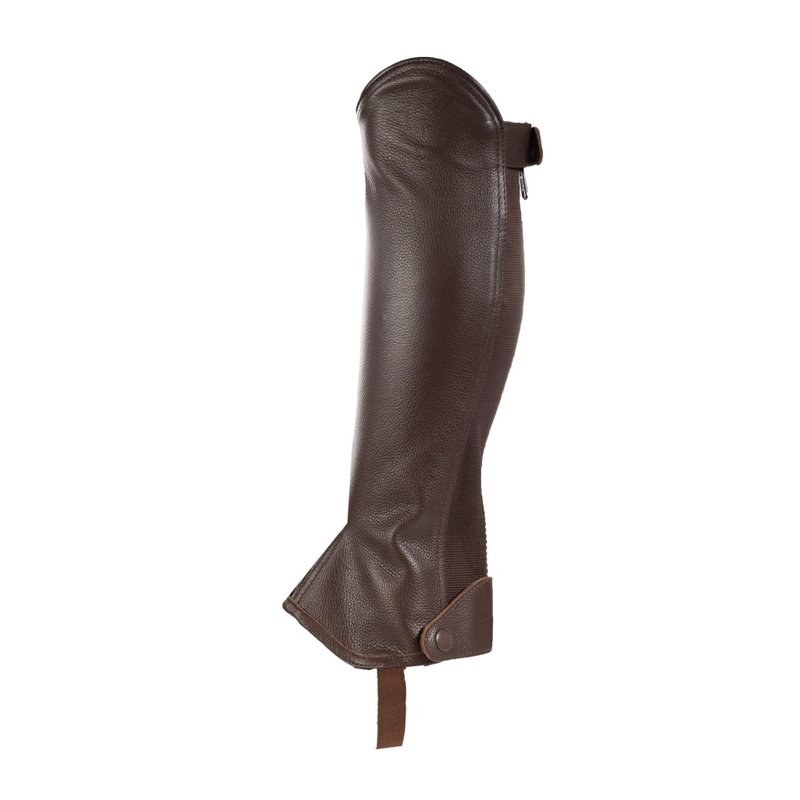 Protect your legs and ride in style with these classic half chaps in comfortable leather with a sturdy zipper at the back. Elastic ensures a snug fit. This well-priced pair will stand up to daily use.